A quick Greek-influenced recipe for porgy—or any other mild, sweet fish like pompano, snapper, bass, tilefish or grouper—with lemon, herbs, garlic and white wine. 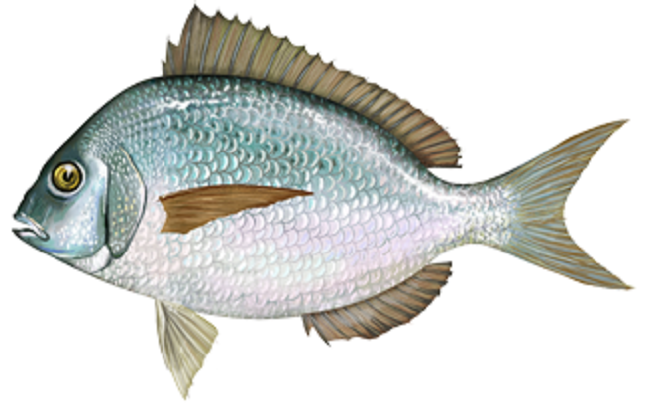 We were introduced to a new fish recently—porgy aka scup. Since joining the Community Supported Fishery program at Locals Seafood, we’ve enjoyed several types of fish that had never graced our table at home before. Locals Seafood describes porgy as a “mild tasting fish that yields a lean, flaky fillet” with a “slightly sweeter taste compared to tilapia.” It reminded us of pompano—we really liked it. Porgy are small, flat fish that search for dinner—small crabs, squid, clams and mollusks—at the bottom of the ocean. During an incoming tide they follow the rising water into shallow bays to feed, and follow the tide back out. When searching for a way to cook porgy, I found many recipes for whole roasted or grilled porgy—a popular dish in Greek restaurants. I kept track of the most common ingredients in those recipes and came up with one for pan-fried porgy fillets. Try to get fresh herbs for this recipe if you can—they add a lot more flavor and aroma. I keep a rosemary plant inside the house all winter just so we can cut off a few sprigs to use in cooking. After I made this recipe, I discovered something about cooking with white wine. In the past, I shied away from adding too much wine to dishes. An overly wined scallop dish literally left a bad taste in my mouth. But, looking back, I think that problem was caused by a bad recipe. Because the dish was baked in the oven, the wine wasn’t allowed to reduce. The problem might also have been compounded by not using the most appropriate varietal of white wine. Lately I’ve been buying pinot grigio whenever I need white wine for cooking. It has the right amount of fruitiness and it’s unoaked. I only used 1/4 cup of white wine when I made this porgy recipe but I think you could easily increase that to 1/2 cup as long as you let the wine reduce. 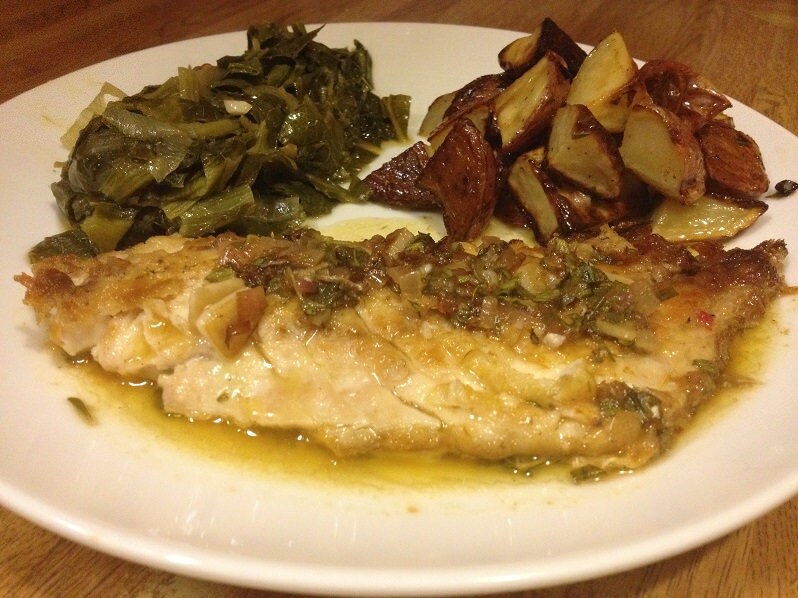 I served the porgy with sautéed turnip greens and Greek potatoes with lemon vinaigrette. You’ll need a large pan. Sprinkle fillets with salt and pepper. Heat a few tablespoons of olive oil in a large pan over medium-high heat. Put porgy in skin-side down. Cook 2 minutes, flip, and cook the other side for 2 minutes. Remove from the pan. Turn heat down to low or medium-low. Add more oil to the pan if necessary. Sauté shallots for 2 minutes. Add garlic and cook for 1 minute. Add white wine, turn up the heat and let the wine reduce by about half. Stir in lemon juice, oregano and rosemary. Take the pan off the heat and swirl in the butter. Taste and adjust the seasoning with salt and pepper. 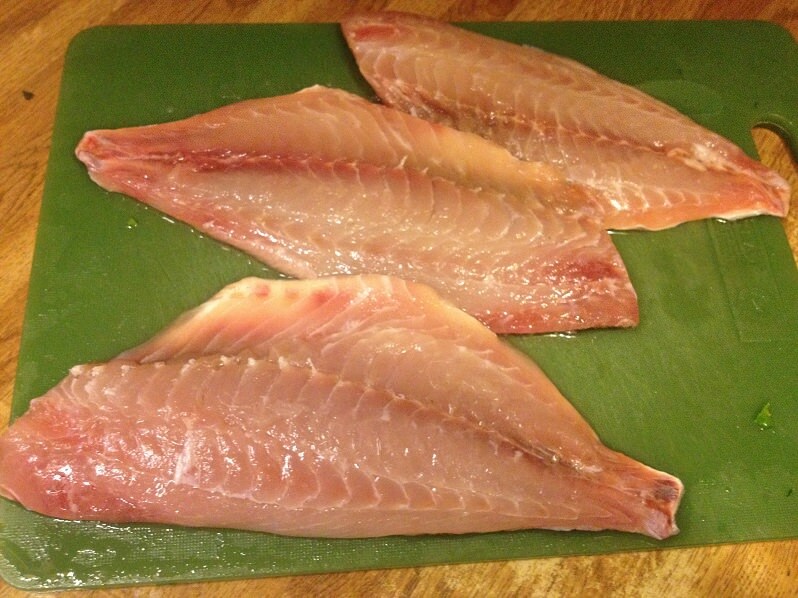 Put the fish back in the pan and spoon some of the sauce over it, or pour the sauce over the fish on a serving dish. I just wanted to let you know that I’ve nominated you for the Liebster Award.